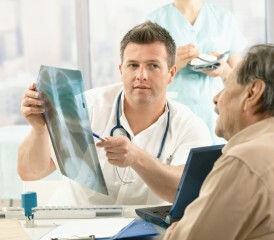 A Loved One Was Just Diagnosed with Mesothelioma... Now What? A Loved One Was Just Diagnosed…What Now? Your loved one was just diagnosed with mesothelioma. What happens now? This is a question our patient advocates hear a lot, and it’s a question that doctors and their staff hear immediately upon delivering the news. We can help you navigate these rough waters with some advice about what you as a friend or family member of a recently diagnosed mesothelioma patient can expect. After a diagnosis, your loved one will experience a variety of emotions that range from sadness to anger to hopelessness. This is natural way people process life-altering information. It’s OK.
And it’s OK for you to have similar feelings. The key is to understand these will not last, so don’t let them get the best of you. One undeniable fact is whether you’re older or younger than your loved one with cancer, your role in their life has changed. That means they may need support from you in a totally different way than they did before their diagnosis. Even if you haven’t had much, if any, experience as a caregiver you will want to arm yourself with information. You will need some new tools in your toolbox to get through this. This will be a learning and growing period for both of you. First and foremost, you have to take care of yourself. Make sure you’re getting as much rest as you can and that you’re not skipping meals. It may seem silly, but if you aren’t taking care of yourself, how can you take care of anyone else? Don’t be afraid to take some time for you and recharge the batteries with a nap or a walk to get your blood pumping and clear your head. Another important thing to keep in mind is to know your limits. The worst thing you can do is take on too much by yourself and burn yourself out. Most people aren’t designed to be a one-person help service. Chances are you aren’t, either. That’s OK.
Take a step back and make sure you’re not stretching yourself too thin. You may want to figure out which tasks you can share with others. Be willing to let go of some responsibilities and accept help. Meaningful help for you can be something really small, like someone making dinner for you, running an errand for you or helping with a couple household chores. That help may be just enough time for you to take a needed nap. These little acts of kindness can make a world of difference. And if no one offers to help, that’s when you reach out to ask. You might be surprised how eager church groups, friendly neighbors and close co-workers are to help you. Don’t forget about hospice. Even if you don’t need hospice, their volunteers are always willing to share their experience and give you tips to help you through this journey. If the cancer patient is receiving treatment from a hospital or cancer center, ask about the services they offer or see if they have a list of agencies to call. Finally, remember that others have walked this way before. There is a path. And there are people around you wanting to help. Let them. What tips can you provide? For daily information, advice, and trending topics subscribe to the RSS feed for our Mesothelioma Outreach Blog and connect with us on Facebook and Twitter.